WVIA-FM will be broadcasting the 2013 COTA Jazz Festival during the month of November. Here is the broadcast schedule. Each show is at 7:00 to 8:00 PM on WVIA-FM, except for Saturdays at 10:00 PM. Programs are produced and hosted by George Graham. Monday Nov. 11: “Leftovers” Music from Week One that had to be cut for time. Note: At 8 PM, David Liebman and Expansions will be performing live on WVIA-FM in a Homegrown Music Concert. Saturday Nov. 16 at 10:00 PM: Leftovers from week 2: More memorable music that needed to be cut for time from broadcasts during the week. 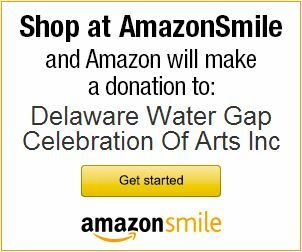 WVIA-FM has been broadcasting coverage of the non-profit, volunteer-run Delaware Water Gap Celebration of the Arts each year since 1997. The broadcast is a project in conjunction with Chiaroscuro Records, a division of WVIA Public Media.